Sadia wishes life in high school was as straightforward as a game of basketball. Fifteen-year-old Sadia Ahmadi is passionate about one thing: basketball. Her best friend Mariam, on the other hand, wants to get noticed by the popular crowd and has started de-jabbing, removing her hijab, at school every morning. Sadia's mom had warned her that navigating high school could be tricky. As much as she hates to admit it, her mom was right. 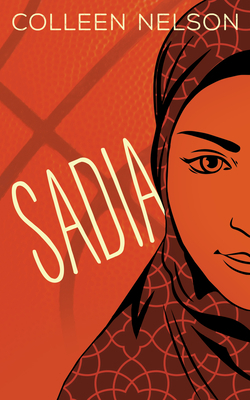 When tryouts for an elite basketball team are announced, Sadia jumps at the opportunity. Her talent speaks for itself. Her head scarf, on the other hand, is a problem; especially when a discriminatory rule means she has to choose between removing her hijab and not playing. Mariam, Sadia's parents, and her teammates all have different opinions about what she should do. But it is Sadia who has to find the courage to stand up for herself and fight for what is right -- on and off the court.